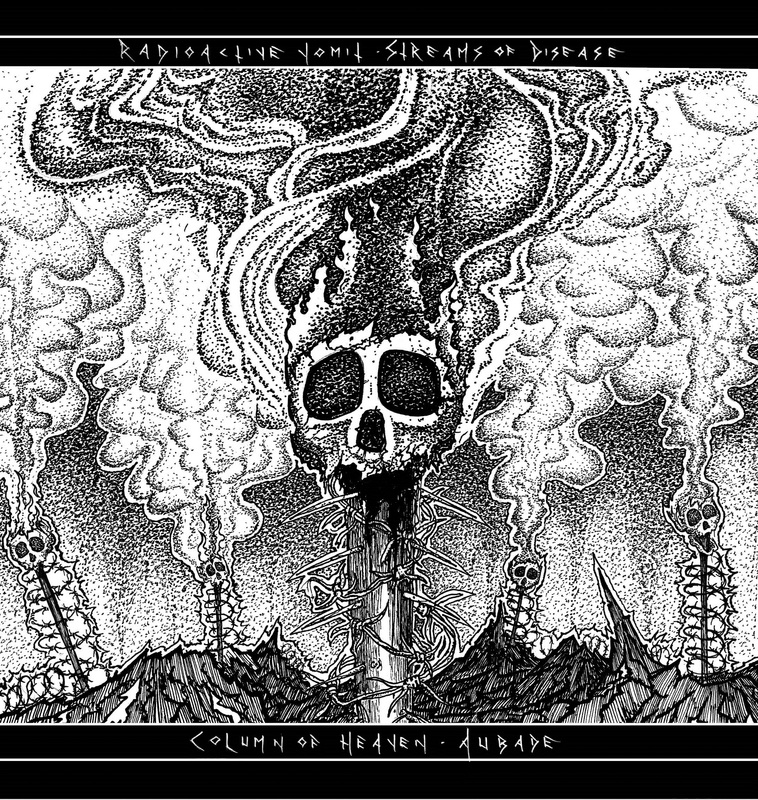 Home :: Vinyl EPs :: Radioactive Vomit / Column of Heaven - split 7"
Black vinyl version. A split 7" of absolute ferocity from two of Canada's best current bands. RADIOACTIVE VOMIT emerged in 2010 with their debut demo Vomit Command Until Suicide. Using the foundation laid by legends such as BLASPHEMY and CONQUEROR, they imbued the blackened sounds of war metal primitivism with the grime of D-beat punk. They followed this up with 2012's well-regarded Witchblood tape. Their side of this split continues down the same path of depravity. Recorded and mixed by VK (of the mighty VASSAFOR), this is their strongest work to date. Hail the Vomit Cult!